I admit it, I'm usually the first to knock Gerber stuff. I think I want to like them because they sort of just do whatever they do and don't bother anybody in the process or try to be someone they aren't. 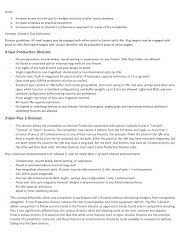 On the other hand they are probably the most commercial knife company on Earth and my bottom line opinion is that they follow the standard American corporate marketing formula which is to mask mediocre products in marketing smoke. It seems that a large chunk of the American job force is tasked with selling products and spending every day trying to figure out how to sell products. Whereas American jobs used to be about designing useful products and making them. 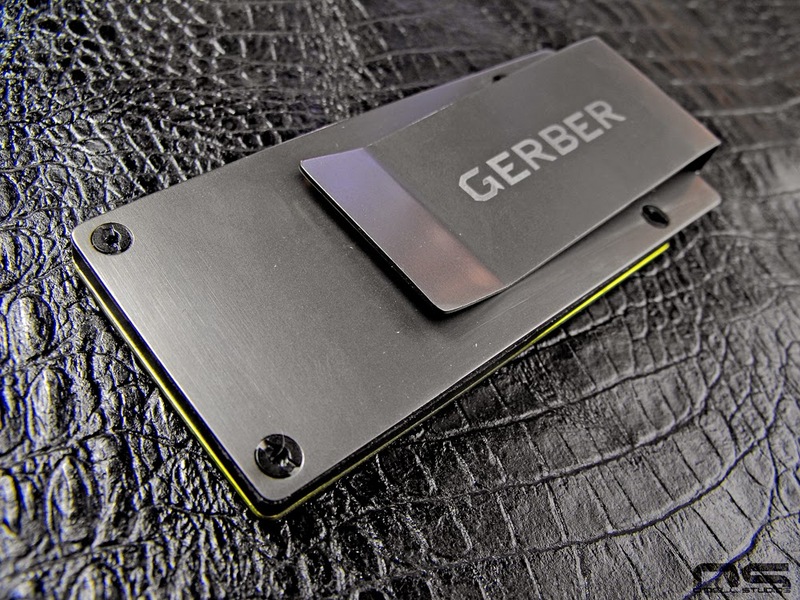 I am concerned for myself I have to say, because I might have fallen victim to some of this marketing magic when I ordered up this Gerber GDC Money Clip. But I think, only some. I still think it's a neat idea. If you look at the GDC Tool Belt it's pretty clear that they were looking for something to fit a catchy title, not create a useful product and give it a cool name. It's got marketing gimmick written all over it, pretty much like the rest of the GDC line and all the Bear Grylls crap before it. The tool belt isn't a bad idea either, but I'm willing to bet you'd get a relatively handy tool in a belt you never want to wear. And that pretty much sums up the failure of the GDC Money Clip. It's a good idea wrapped in Gerber delivery. 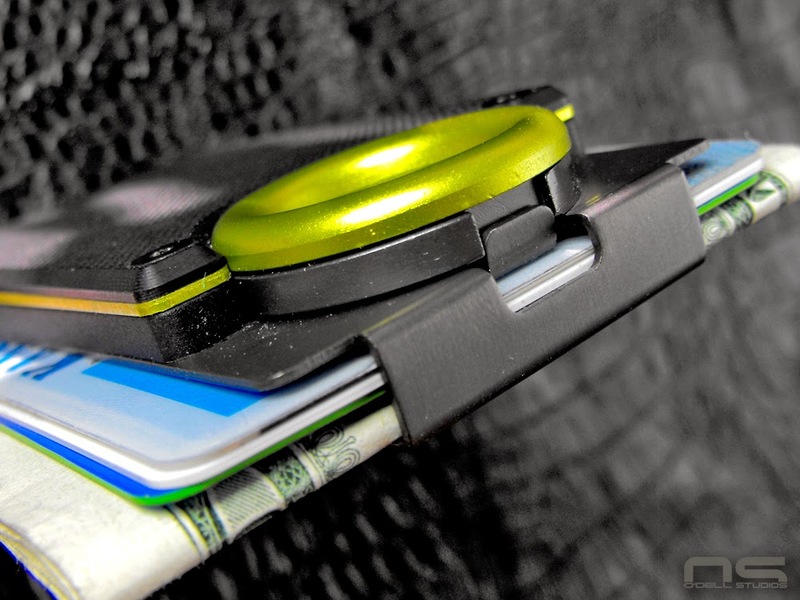 For my overall impression of what it is - which is apparently a money clip - it's fine. It works, it's a little bit heavy in my opinion though nothing terrible and it'll hold your cash - and lots of it if that's how you roll. It's a neat, good looking design and to be perfectly honest, the knife would make an ideal daily task beater knife. It's small, not especially convenient but it is discrete, and would suffice for the more mundane tasks. 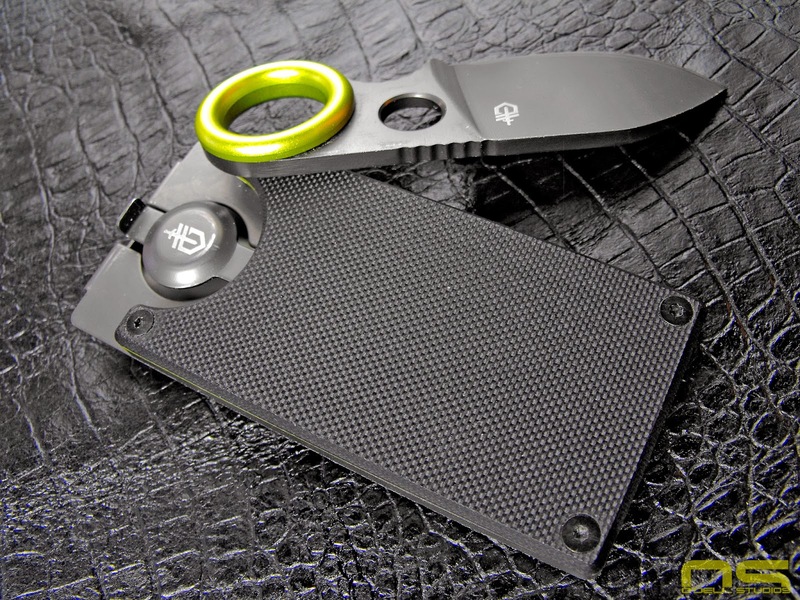 The knife itself has a perfectly useful blade shape and in many ways gives the user some grip options that may not be available with a regular folder. So for concept I'd call it a 70%, maybe 80% win. I like the splash of color and the way that it looks nothing like a knife when it's all together. My initial impression was, hey look, Gerber is waking up. A little style mixed in with utility in a discrete package disguised as something else. But we can't ignore function, and that's where things start to come apart. You begin to realize that they used G10 probably because it's practically a catch word in the knife world. 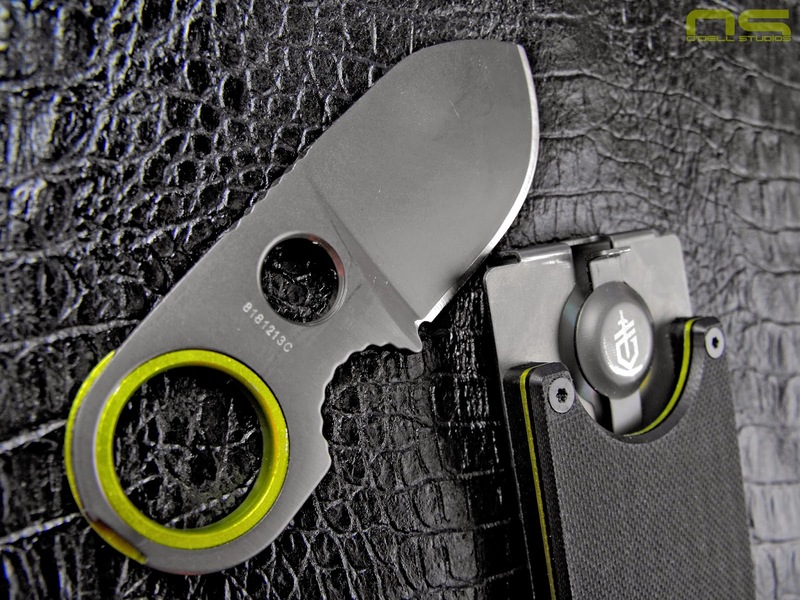 You begin to realize that they went with this particular shade of green less because it would appeal to the often colorful EDC crowd but because some people have been sucked into the zombie green nonsense. It all would have worked if it simply weren't Gerber behind it. The 7CR17MOV steel is terrible and there are relatively significant design flaws hidden beneath the surface. When I first opened the package I remember remarking that it was actually somewhat sharp. By the next day the blade edge had rolled along virtually the entire length if for no other reason than it apparently rubs when inserted to the sheath. It certainly never cut anything and just one day later isn't sharp enough to cut paper at all. Next, the blade has a small tab which locks it into place. No one wants a knife (even a dull Gerber knife) rolling around in their pocket unsheathed, so I understand the notion. Except that if the clip is full of cards and cash, the button to release it is blocked. Is that a big issue for something that wasn't necessarily intended to be quick access? Probably not, but it could have been done differently and we'll get into that with the pics. Here you're looking at the little tab which locks the blade in place. What you are also seeing is how that tab cannot be pushed back with this enormous load of 3 cards and 4 bills I have stuffed into the clip. You picked up on the sarcasm right? Just checking. The Gerber GDC Money Clip is pretty compact I guess. It won't really protect the edges of your cards but regardless of the mention of cards on the packaging, it's really just a money clip. The edges of the clip are about as sharp as the blade and while that's not saying much, it easily scratched my cards up with just a few passes across the counter today at my favorite sandwich shop. As you might be able to guess, there is a lot of metal on metal scraping going on as you remove and insert the blade. Playing with it for five minutes resulted in the wear spots you see here on the button. Remarkably the finish on the blade itself isn't too bad. That little locking tab didn't leave a single scratch on it yet. It leaves marks that can easily be rubbed off, but no actual scratches. I doubt it'll take long, but it's an area that was simply designed in such a way that it is going to wear and it's taking longer than I expected. For what it's worth I have medium sized hands and no, you will not be putting your finger though the loop on the blade. My ring finger fits, but I can't figure out what purpose it would serve. So what's the deal and how could it be better? I still kinda like it just for the idea and the cool looks. The only problem is I run a front pocket wallet and there is no way this will hold, or protect what I typically carry - which isn't much. 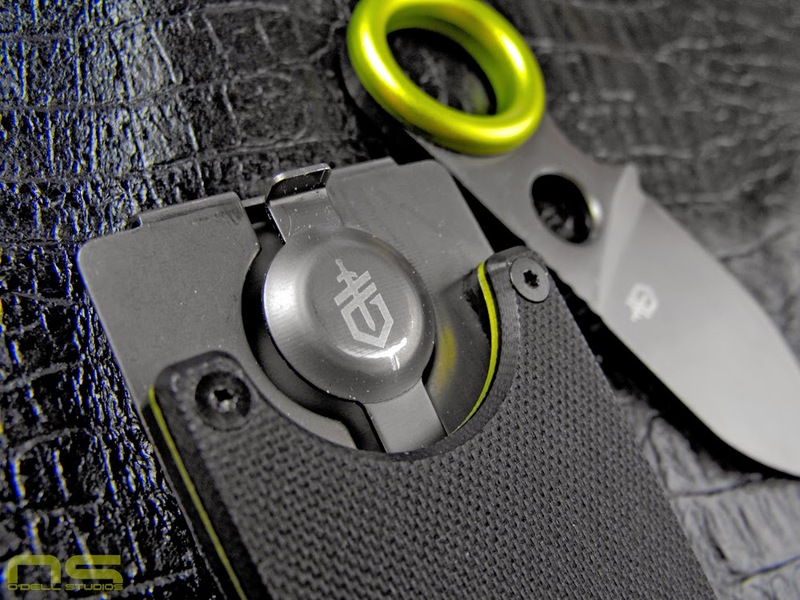 The blade, even made of steel that isn't suited to knives, would rip open boxes and envelopes and could serve as the boring tasks beater blade to compliment your real knife. Regardless of how much I want to bash it, it's not half bad. At least, not quite. How could it be better? Well if it has to be a knife, then make a real knife. Figure out something else for retention. The truth is the retention is good enough without the tab as it is right now. The safety Nazis would probably have fits so the best way to solve the problem is to forget the knife altogether. Put the little pry tool in there like the Tool Belt has and lose the retention tab. The whole unit could be smaller, lighter, the safety issue would be history and the steel would matter less. 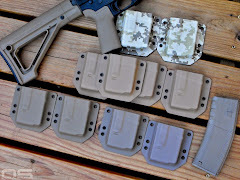 Another option would be to ditch the clip, use the internal retention to keep cards and make it two sided so the tool would be sheathed in the other side. 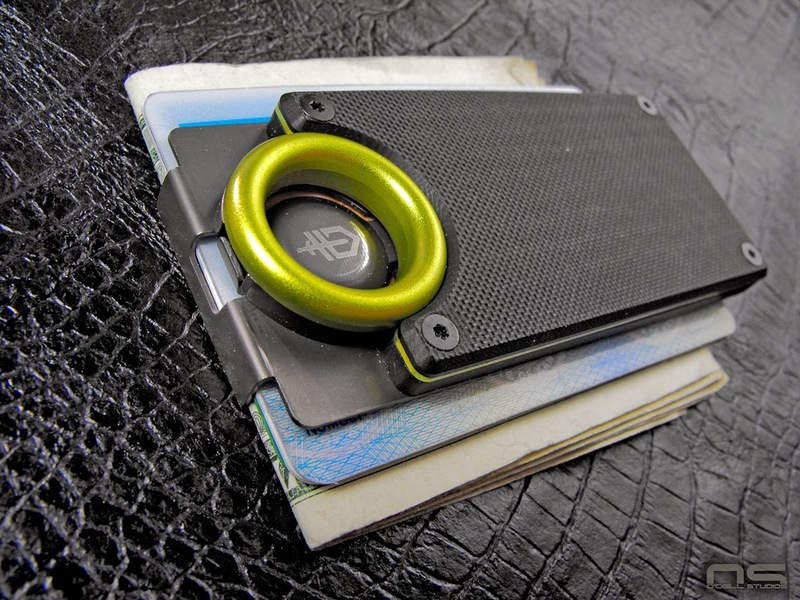 If you're looking for a cool money clip and carry the rest of your stuff in a different pocket, the Gerber GDC Money Clip isn't a bad option and it's got respectable levels of cool factor. Busy Month - Not for the Blog - Contributor?